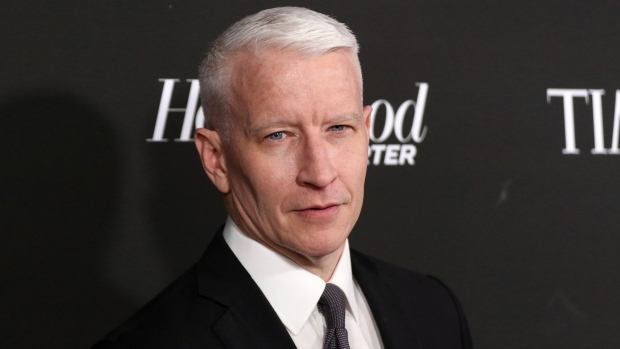 LOS ANGELES -- When Anderson Cooper first met Sean Penn after the 2010 earthquake in Haiti, the CNN anchor was initially skeptical of the actor's intentions to help the recovery efforts in the ravaged country. "I'm not sure how Sean got to Port-au-Prince, Haiti. It certainly was not easy. I'm not sure how much of a plan he had when he got there. But he didn't just come by himself, he came with a team,"Cooper said Saturday night in front of a star-studded crowd at Penn's ninth annual benefit for the J/P Haitian Relief Organization. Even though Cooper was being honoured, he heaped praise on Penn and his non-profit. During Saturday's event, Penn unveiled the name change of his Haitian Relief Organization to the Community Organized Relief Effort (CORE) in an effort to rebrand his non-profit. He wants his charity to expand its efforts from Haiti to more areas in the United States. The event honoured San Juan Mayor Carmen Yulin Cruz and ambassador Kenneth Merten. The Point Dume Bombers, who stayed up all night to help save their Malibu neighbourhood from the fast-moving wildfires that scorched the area displacing thousands from their California homes, were also recognized.